A very interesting game will open the 32nd fixture in Spain Primera Division. To be more precise, Levante will host Espanyol Barcelona today from 19:45, UK Time. The hosts are coming after a bad run, proof that they won only three points in the past five rounds and now they are under the red line, on the 18th place. Levante have 28 points and they need a good end of the season to avoid relegation. The good news are that they have no missing players for today. On the other hand, Espanyol Barcelona are in a very good form, without defeat in the past five league games, recording three draws and two wins. They have no concerns about relegation, being on the 8th position in La Liga, with 41 points, but without any real chance to qualify for Europa League. Just like their opponents, the guests have no missing players for this trip. Levante (4-4-2): Marino – Lopez, Juanfran, Vyntra, Tono – Morales, Simao, Mari, Garcia – Barral, Uche. Espanyol (4-4-2): Casilla – Arbilla, Gonzalez, Moreno, Duarte – Vazquez, Abraham, Lopez, Alvarez – Garcia, Caicedo. Espanyol seem to be the better side before this duel, but we expect Levante to get at least one point here, being a crucial game for them. More than that, they have the advantage of the own ground. The most unbalanced game of this weekend in Italy Serie A will put face to face Parma and Juventus, two teams that are the two poles of the table right now. The game is scheduled Saturday afternoon from 17:00, UK Time. Parma will not be seen in Serie A next season, being the worst team in the first league this campaign. They have only 13 points, with 3 points penalty from the federation. They are on the last position, 13 points under the red line and without any real chance to avoid the relegation. Biabiany and Galloppa are injured and will miss the match, while Lucarelli is suspended. Juventus Torino will come here without Asamoah, Romulo, Caceres and Pogba, all four injured right now. Tevez is not 100% fit so we will probably see Morata and Llorente up front. The guests are looking for the 4th title in a row and they can’t miss this objective. 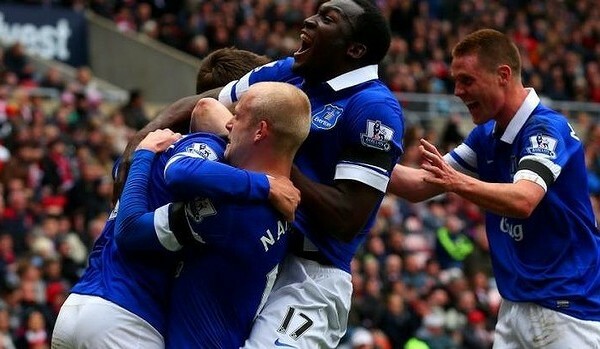 The away team has 70 points and a 57-14 goal difference, 14 points than the second position. Juve recorded eight wins, five draws and one defeat in their 14 trips so far. Parma (4-3-3): Miranda – Cassani, Santacroce, Mendes, Gobbi – Nocerino, Lodi, Jorquera – Varela, Belfodil, Ghezzal. Juventus (3-5-2): Buffon – Ogbonna, Bonucci, Chiellini – Lichtsteiner, Marchisio, Pirlo, Pereyra, Ceglie – Morata, Llorente. We consider that Juventus have a much stronger team and they are superior from every point of view. We chose to bet on their victory here, the odds being acceptable. Caen and AS Monaco will open the 32nd fixture of France Ligue 1. The duel will take place today from 19:30, UK Time, with the away side having the first chance at first view, both on the paper and at bookmakers. Caen are coming after a very good result last round, getting three points at Nantes (2-1). They are on the 12th position at the moment, with 38 points in their account and a positive goal difference of 46-45, being the only team with a positive GD in the bottom half of the table. You have to know that Caen won more points away than in front of their own fans. AS Monaco are coming after a very good run and they had a very good second part of the season, being back in business, fighting for a Champions League place. Berbatov & co are on the 4th place right now, with 55 points, only two behind OM (3rd place) so they have a good chance to qualify for Champions League next season if they will continue to show a good form in the next seven league games. Caen (4-1-4-1): Vercoutre – Appiah, Silva, Saad, Imorou – Seube – Lemar, Kante, Feret, Koita – Sala. AS Monaco (4-2-3-1): Subasic – Toure, Carvalho, Abdennour, Kurzawa – Fabinho, Kondogbia – Silva, Moutinho, Carvalho – Berbatov. There no doubts about Monaco’s superiority in this duel and we expect them to confirm it on the scoreboard, but in case of a draw, our money will be refunded. Crystal Palace and Manchester City will close the 31st round of Barclays Premier League. The two sides will be face to face today from 20:00, and the guests have first chance. Crystal Palace have no concern in this end of the season, proof that they are ten points ahead the relegation zone with a match in hand. The londoners are on the 12th position at the moment, with 36 points and a 36-41 goal difference. When it comes about away games, Palace are on the 8th positiom from this point of view. Manchester City seem to have the first chance, as we said, but their mission surely won’t be an easy one on this stadium. The Citizens are not in their best form, winning only nine points in the past five league matches. Aguero & co are on the 4th position right now, but a victory could put them again on the second place, six points behind Chelsea and without a real chance in the title race. Palace (4-2-3-1): Speroni – Kelly, Dann, Delaney, Ward – Ledley, McArthur – Zaha, Puncheon, Bolasie – Murray. Man City (4-4-2): Hart – Zabaleta, Kompany, Mangala, Clichy – Navas, Fernando, Toure, Silva – Bony, Aguero. As we said, this won’t be an easy game for the champions, but we expect them to get three points here, otherwise they could lose the podium in this end of the season. The 31st fixture of France Ligue 1 will offer us few very important games and Monaco vs St. Etienne is one of them. It will open this round, being scheduled today from 19:30, UK Time. AS Monaco seem to have the first chance, at least at bookmakers. 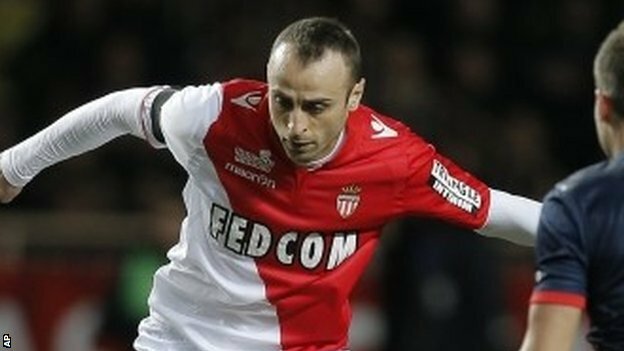 Berbatov and his teammates are in an excellent form at the moment, with four wins and a draw in the past five league matches. The home side are back in business, fighting for a Champions League place. They have 53 points, four behind Top 3, but it’s very important to know that they also have a match in hand. St. Etienne are also in a very good form, coming after three wins in a ro in Ligue 1. The guests are on the 5th place and they have only one option here, to get three points, otherwise they will be out of the top 3 fight. St. Etienne have 52 points, being on the 5th place and you should know that they are second in Ligue 1 when it comes about away games, with 23 points after 15 trips. This should be a very tight game in normal conditions. Monaco and St. Etienne are two very good sides when it comes about their defensives so we don’t expect too much goals this evening, maxim two, to be more precise. Maritimo and FC Porto will be face to face Thursday evening from 19:45, UK Time, in the Portugal League Cup semifinal. The guests are in pole-position, but it won’t be a very easy mission. Maritimo are not in their best form, proof that they recorded only two victories in the past eight competitive matches. It’s very important to know that the home side defeated Porto in the last two meetings on this stadium. When it comes about home matches, Maritimo lost three of the last four in all competitions. FC Porto are coming after three wins and two draws in their last five trips. They are qualified in the Champions League quarter finals, but surely they made an objectiv from League Cup. Porto’s form is an impressive one, with nine wins and two draws in the last 11 games. Their last defeat took place more than two months ago, at the end of January. 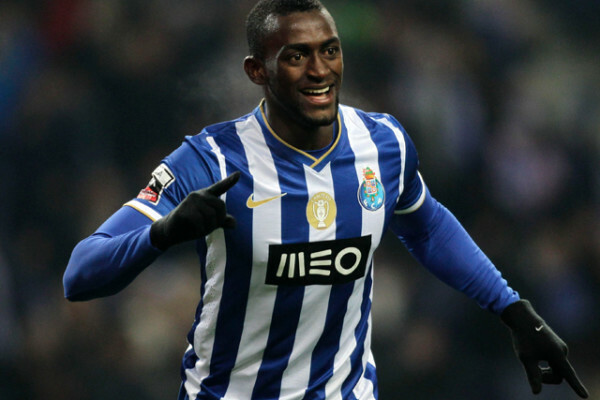 We consider that FC Porto have a much stronger squad at the moment and surely their form is much better right no. We expect them to get a victory here and the odds are very attractive at Bet365.